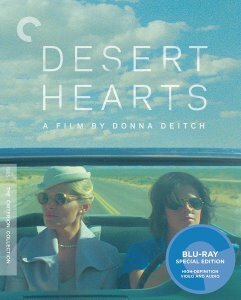 Description: Donna Deitch’s swooning and sensual first narrative feature, Desert Hearts, was groundbreaking upon its release in 1985: a love story about two women, made entirely independently, on a shoestring budget, by a woman. 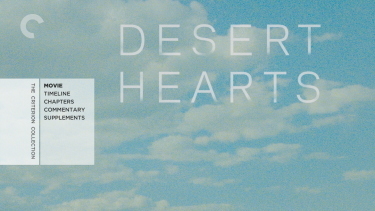 In this 1959-set film, adapted from a beloved novel by Jane Rule, straitlaced East Coast professor Vivian Bell (Helen Shaver) arrives in Reno to file for divorce but winds up catching the eye of someone new, the free-spirited young Cay (Patricia Charbonneau), touching off a slow seduction that unfolds against a breathtaking desert landscape. 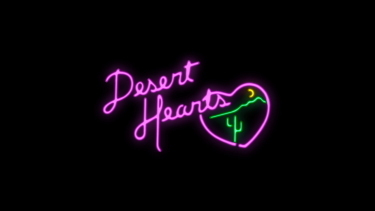 With undeniable chemistry between its two leads, an evocative jukebox soundtrack, and vivid cinematography by Robert Elswit, Desert Hearts beautifully exudes a sense of tender yearning and emotional candor. 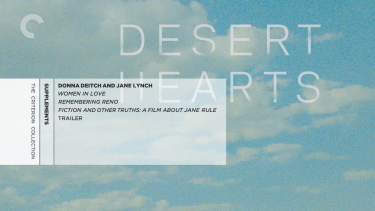 Director Donna Deitch makes a strong impression in her first feature film, a simple story of a lesbian love affair based on Jane Rule's 1964 novel Desert of the Heart. 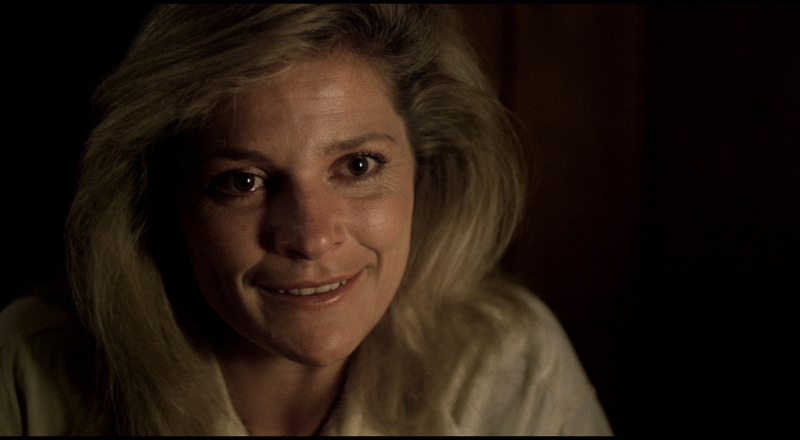 Helen Shaver stars as Vivian Bell, an uptight, 35-year-old Columbia University professor who travels to Reno to get a divorce. She arrives in Reno on her way to the ranch of Frances Parker (Audra Lindley), where she is staying to establish six weeks of residency in order to obtain the divorce. 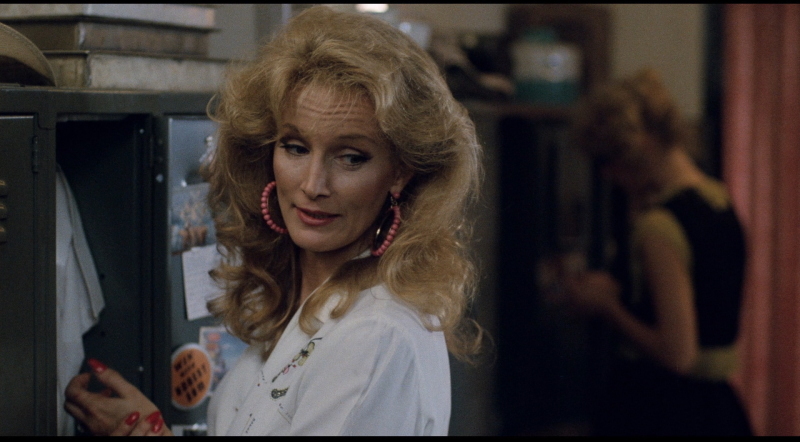 Once at the ranch, Vivian catches the fancy of Frances' adopted daughter Cay (Patricia Charbonneau), a casino worker ten years younger than herself. 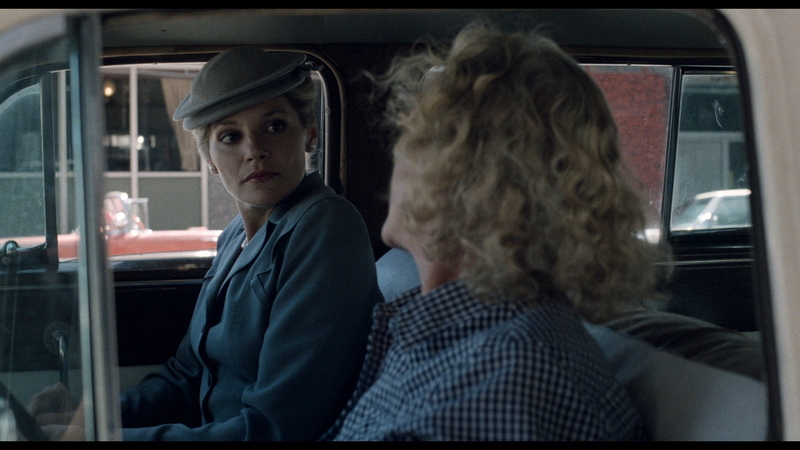 Vivian tries to remain unruffled as Cay makes unabashed overtures to her. Cay thinks that all Vivian needs is the love of another woman, and soon enough the two are in each other's arms. 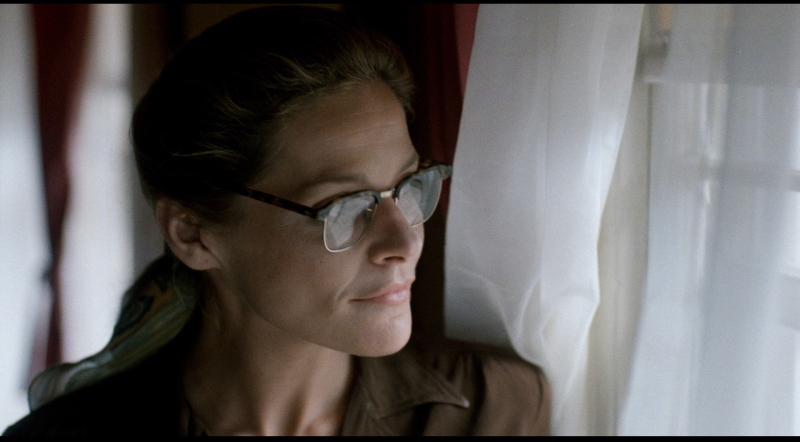 The lesbian relationship at the core of Donna Deitch’s Desert Hearts is contextualized by its characters’ ideological hang-ups, whether related to region, education, or sexuality, which inform the entire spectrum of their identities. 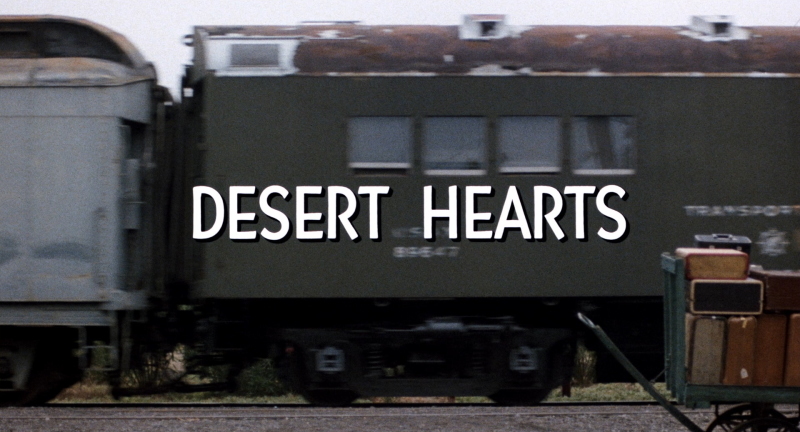 Screenwriter Natalie Cooper’s adaptation of Jane Rule’s 1964 novel Desert of the Heart begins with Vivian (Helen Shaver), a literature professor at Columbia, arriving in Reno, Nevada by train. 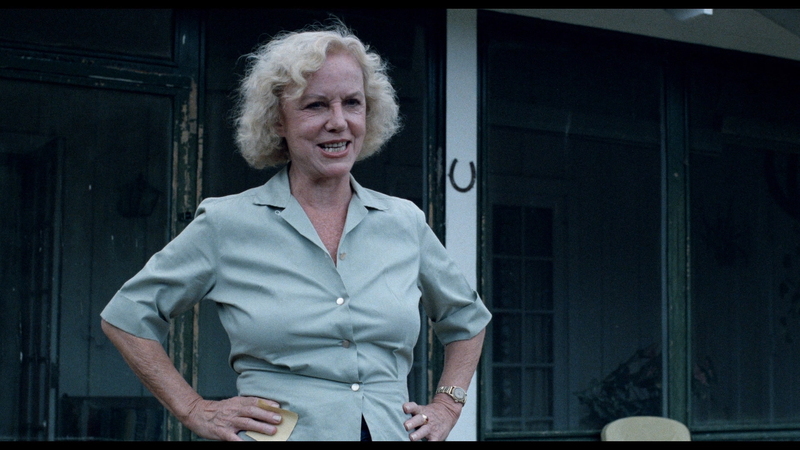 It’s hot, it’s dry, her feet hurt, it’s 1959, and she doesn’t fit in. Met by Frances (Audra Lindley), who owns a nearby ranch, Vivian is in town to finalize a divorce. That Vivian needs to stay in Nevada for six weeks to establish residency for a divorce initially seems like a contrivance, but the setting proves to be integral to the film’s conception of the ways a place can shape a person’s desires and ambitions. 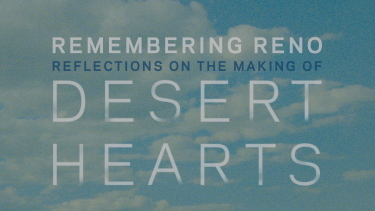 The Desert Hearts Blu-ray from Criterion is advertised as a "New, restored 4K digital transfer, supervised by cinematographer Robert Elswit and created by the UCLA Film & Television Archive in conjunction with the Outfest UCLA Legacy Project and the Sundance Institute". 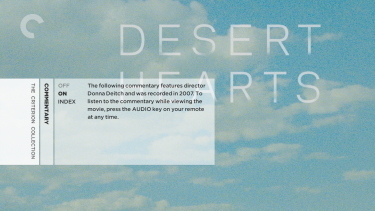 It's on a dual-layered Blu-ray, with max'ed out bitrate, and exports a very strong 1080P presentation. There is some teal-blue leaning but I found it minimal. In-motion the image quality is excellent - clean and clear looking very film-like with textures present. 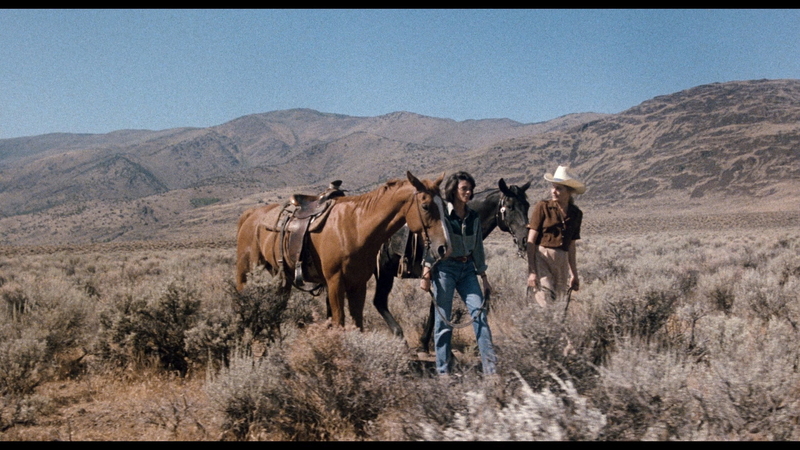 Contrast is at Criterion's high level and the Reno desert visuals are rich and atmopsheric. Typically flat, linear PCM mono track at 1152 kbps (24-bit) - but the film's beautiful music, including Patsy Cline, Elvis Presley, Johnny Horton, Buddy Holly, Jim Reeves, Patti Page, Kitty Wells, Johnnie Ray and Ella Fitzgerald sounds wonderful in the uncompressed. There are optional English (SDH) subtitles and my Oppo has identified it as being a region 'A' disc. Criterion include an audio commentary from 2007 featuring director Donna Deitch - originally, I believe, on the MGM DVD. It's revealing about the production, covers the move from the book to the screen and much more. 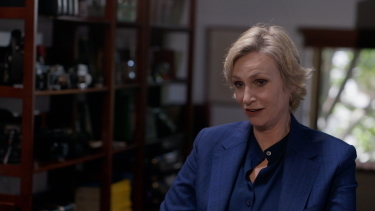 There is a new (August 2017), 19-minute, conversation between Deitch and actor Jane Lynch. 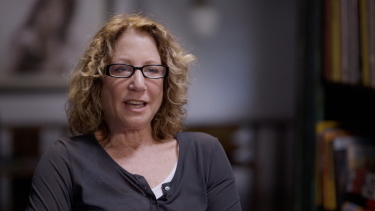 Wanting to make a film about a lesbian relationship that didn't end in tragedy, director Deitch spent 5 years raising money for and working on Desert Hearts. Its release in 1985 was a landmark moment in queer cinema. 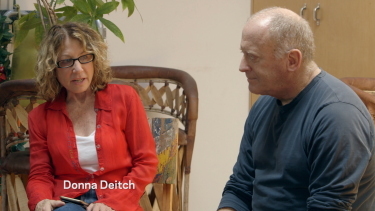 In the included conversation, Deitch and Lynch discuss making the film and its personal significance for the actor. There are also new interviews with actors Helen Shaver and Patricia Charbonneau for over 26-minutes. 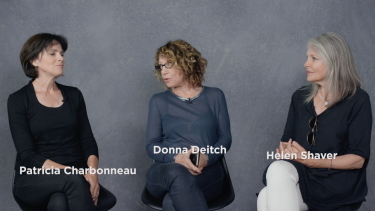 Desert Hearts depended on the connection between its two lead actors, Shaver and Charbonneau, and their trust in director Donna Deitch. In this interview they discuss the close bond they formed, and the ways it changed their lives. 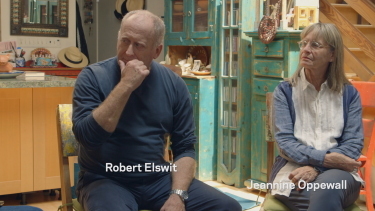 Remembering Reno is a new 20-minute program featuring Deitch, cinematographer Elswit, and production designer Jeannine Oppewall discuss their collaboration in creating the look of Desert Hearts. 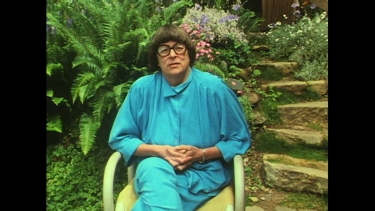 There are two excerpts from Fiction and Other Truths: A Film About Jane Rule, a 1994 documentary about the author of Desert of the Heart, the 1964 novel on which the film is based. Together these run over 9-minutes. 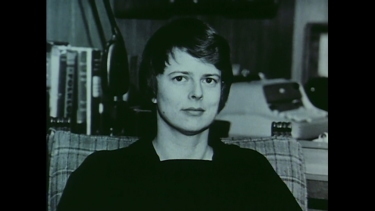 There is also a trailer and the package has a liner notes booklet with an essay by critic B. Ruby Rich. 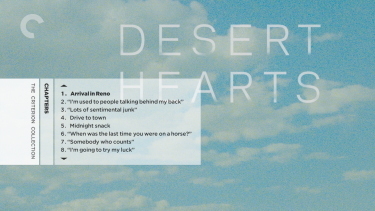 Desert Hearts is a special, touching film - often cited as the best lesbian film ever produced. 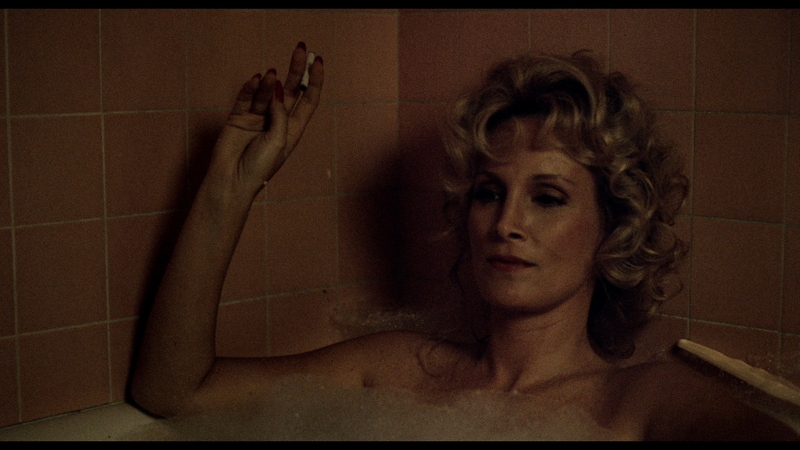 It's beautifully photographed and has a simplicity to the production that makes it, more, endearing. 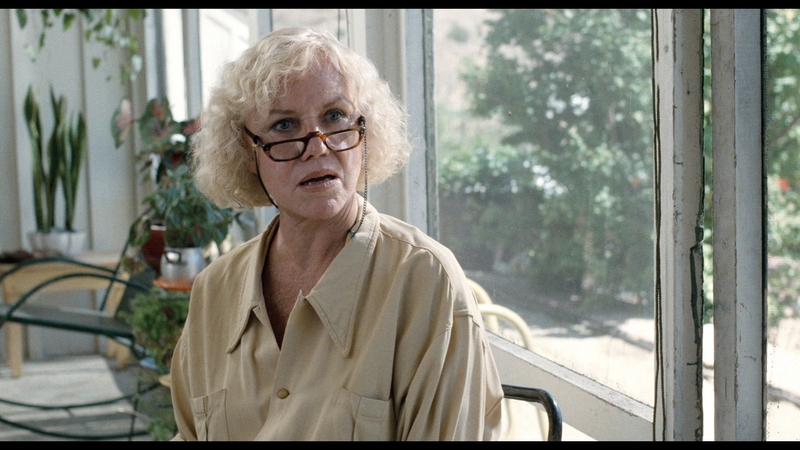 Great performances and the Criterion Blu-ray package is an easy recommendation. Even not being initially keen on the subject matter - it is something I will definitely be revisiting. I very much enjoyed my viewing and the extras.